How does one begin to articulate the enormous impact that feminism has had on the consciousness of African women – as individuals and as members of collectivities – and the intensity of struggles and contestations over political and cultural identity which it has unleashed, among and between African women across a multitude of issues and interests? I find that a useful entry point into any discussion of feminism in Africa is to define it as being fundamentally the struggle by women against patriarchal control and exclusion. Most importantly, it is a struggle which African women have engaged in, as individuals and now as collectivities of women, for millennia. It is, for me, the oldest expression of resistance against injustice in the human narrative, albeit least known or recognized. Struggling against the appropriation of one’s integrity and personhood is most certainly not restricted to so-called developed societies, nor is it peculiar to the experiences of women who are based in a particular geographical location on the planet. The struggles of particular groups of women – in this case white, middle-class, northern women – may have been hegemonic and dominant in terms of the discourses around notions of women’s freedom from patriarchy, and there are very good historical reasons for that, amongst which colonization and enslavement are high up on the list. But to exclude centuries of resistance by women in Africa, Asia, Latin America, the Caribbean and other parts of the world outside of Europe and North America – because the white women had the opportunity to speak and write of their struggles in a man-ner which is more universally accessible – is ridiculous, to say the least. Yet, for a while, African women who named themselves “feminist” were looked upon as “disloyal” by both women and men whose consciousness had been shaped and oriented through nationalist ideology and old notions of authenticity and difference. It was “un- African” to be feminist, let alone name oneself thus. In addition, an African feminist was often considered to be “unauthentic” by both European women and men who themselves were intent upon studying African women as peculiar and different from the Europeans they had left behind in the cold north. Why did we want to name ourselves feminist when we could be “African” and exotic to the researcher and/or feminist who was fascinated by the continued inscription of pre-capitalist patriarchal notions of womanhood and motherhood, in particular, upon and through the black bodies of women of this continent. And so the claim that feminism was “western” and/or European was perpetuated by those who clearly perceived feminism for what it foretold of societies where male privilege would no longer be assumed to be natural and culture-given, and by those who had appropriated the struggles of multitudes of women, across the world, and declared them “western” in Euro-centric and often old essentialised terms. However, the fact that many African societies had reached a high level of feudalism; engaging in the production of both use value and extensive commodity trading, and, had formulated sophisticated rituals and practices, myths and taboos which served to dichotomize the private from the public and rights from privileges, is only one indication of how deeply patriarchal these societies had become by the time they were colonized. Most of these “authenticators” persist to the present day and it is under the condition of modernity and through a consciousness of entitlement, that feminism as a resistance ideology and stance comes into existence. Therefore, the construction of women as the private property of men through rituals and cultural practices which have, over time, assumed the existence of social status laws, an issue I shall return to below, is clearly for me an ancient, yet unresolved feminist challenge. Critically, it is these issues of the tension between the public and the private; between the individual and the collectivity; between rights and entitlements on the one hand and responsibilities and notions of gendered altruism on the other, which present the most difficult yet most necessary challenges to the broad African Women’s Movement, and specifically to the fledgling feminist movement, across the continent and in the diaspora – wherever African women live and struggle for rights and dignity. I shall focus on a theme which I think brings together the most important issues, for me as a radical feminist activist and scholar, in a manner that provides a rich harvest of potential discourses and qualitative changes in my own consciousness as an activist and, I think, in the collective consciousness of women who are engaged with issues of oppression and freedom. These are the issues of personhood and integrity which lie at the heart of feminist agency and expression not only among African women. Being feminist is about the mobilization and deployment of one’s agency in the engagement with inequality and misogyny. Becoming a person and experiencing the notion of integrity; understanding its centrality to one’s consciousness as an individual who has rights and responsibilites is directly linked to the shedding of outdated practices of custodianship and cultural gate-keeping. The African Women’s Movement, even though it emerges out of the shadow of the deeply masculinist nationalist movements and remains largely hampered and constrained by the persistence of nationalism as the dominant ideology of most women within it, has nonetheless changed the world of Africans in ways which were barely imaginable half a century ago. Of critical importance to feminist engagement is the fact that the Women’s Movement, wherever it has arisen, has facilitated the entry of African women into the public arena. This for me is one of the most significant achievements of the Women’s Movement on the continent. Through entry into the public arena whether through the demand for education for all females (girls and women) and the occupancy of sites of knowledge production and dissemination (i.e. teaching, writing and research), African women have begun the process of challenging and changing the balance of power between themselves and men within key patriarchal institutions. Through the demand for political representation and access to political spaces within party structures and/or within old patriarchal political institutions like “parliaments”, women have initiated a transformation of their societies in new and profound ways. Of course, as is the case in all societies, women also bring their specific class and other interests to the engagement with politics and other issues of public life. However, the engagement of African women in political contestation – whether within the boundaries of the Women’s Movement, or within the parameters of civil society platforms (like the National Constitutional Assembly in Zimbabwe for example); or within the broader context of the society – this in and of itself signifies a sea-change in the perception of women about themselves, and the ways in which the society experiences and engages with them. Political engagement stimulates the development of a notion of entitlement; a sense of being an individual who can have and has rights and entitlements which are inalienable and therefore cannot be compromised. This is crucial for the character of the Women’s Movement because it changes the very nature of the Movement from one which is largely “welfarism” into a political movement for rights and entitlements. By engaging with the law and challenging and changing the meaning of rights in both the public and the private spheres – by questioning the divide between what is considered “cultural and African” on the one hand, and public, therefore western on the other, African women are re-defining the meanings of the law and initiating new processes through which justice can be accessed and/or delivered for and by women. Legal reform remains an important site in terms of bridging the gap between the realities of African women across the continent and critical civic and social resources. From the recent demands of women in Morocco and Egypt for the right to be free of violent and unhappy marital relationships to the questioning of budgetary practices by the post-apartheid government of South Africa, African women have, through the mobilisation of the resistance energies of women across all walks of life in their specific societies, breathed agency into the structures and limited material resources which define the African Women’s Movement. Although it is important to draw a distinction between the Women’s Movement as a broad, politically undifferentiated space wherein all and any women can lay claim to the “rights” of women in a society, and Feminists within the Movement, whose politics is marked by issues of political identity (naming oneself feminist and being uncompromising about those issues that are of most crucial importance to women, and, which are non-negotiable – like the right to safety, pleasure, choice, mobility, integrity, personhood, life, dignity and justice) – the relationship between activists in the Women’s Movement and Feminist activists is consolidated through a mutual commitment to the eventual liberation of all women, universally. I think it is important that we make these distinctions because we are different politically and ideologically as women. All women are women, by accepting the construction of themselves as such, but not all women are feminist, nor do they all want to be feminist. Being feminist is about donning a new and socially disconcerting identity. It is about transforming one’s life and one’s society, not just about reforming it. It is a difficult, life long task that few are willing to assume and many cannot sustain. But it is an identity which every feminist is most proud to bear. I would not be anyone else but a radical, African feminist. As a concluding comment, I would like to say that for me, the most critical issues facing African women in their engagement with patriarchy in all its expressions, are the issues of re-claiming women’s integrity as persons and as individuals. African women must become aware of themselves as individuals, they must nurture and own a consciousness about themselves as entitled beings. This is the necessary political “bridge” to becoming citizens in our respective societies, to recognizing the inalienability of our rights as civic beings. This is the task for feminist scholarship and activism. African women must become modern and leave behind the idiotic claims that we cannot be African without the tired and irrelevant authenticators which continue to encumber us in our search for new identities and rights. We will no longer be the exotica that are the material for research by others, nor can we afford to stay static – one foot in the “culture”. The African Women’s Movement must become a political movement which defines itself in relation to the most critical concern of all African women – that of becoming first and foremost citizens within their respective societies and on the continent as a whole. Agenda: a Journal about Women and Gender, published by University of Natal. Sociology Department, 1987-. Amadimue, Ifi, Reinventing Africa: Matriarchy, Religion and Culture.London: Zed Books, 1997. Amadiume, Ifi, Daughters of the Goddess, Daughters of Imperialism.London: Zed Books, 2000. Evers Rosander, Eva, (Ed. 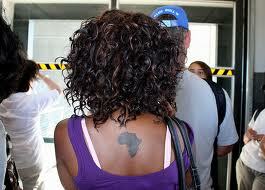 ), Transforming Female Identities: Women’s Organizational Forms in West Africa.Uppsala: NAI, 1997. Getecha, Ciru, and Jesimen Chipika (Eds. ), Zimbabwe Women’s Voices.Harare: Zimbabwe Women’s Resource Centre and Network, 1995. James, Valentine, and Etim, James S., The Feminization of Development Processes in Africa: Current and Future Perspectives.London: Praeger, 1999. 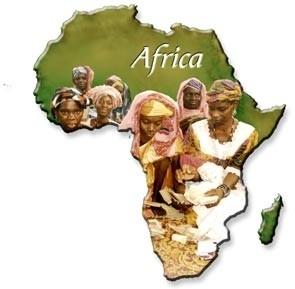 Kaplan, Flora Edouwaye S., Queens, Queen Mothers, Priestesses, and Power: Case Studies in African Gender. New York: New York Academy of Sciences, 1997. McFadden, Patricia (Ed. 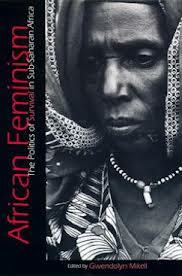 ), Reflections on Gender Issues in Africa.Harare: SAPES Books, 1999. Meena, Ruth (Ed. 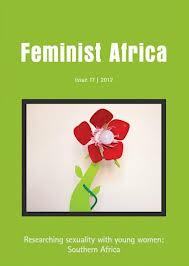 ), Gender in Southern Africa – Conceptual and Theoretical Issues. Harare: SAPES Books, 1998 (original in 1992). Nnaemeka, Obioma (Ed. 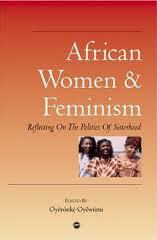 ), The Politics of (M)othering: Womanhood, Identity, and Resistance in African Literature. London: Routledge, 1997. Oyèrónké, Oyewùmi, The Invention of Women: Making an African Sense of Western Gender Discourses. Minneapolis: University of Minnesota Press, 1997. SAFERE, Southern African Feminist Review,published by SAPES Books, Harare, all issues from 1995 and onwards.